Eats For All Ages was recently nominated for a Liebster Award by our friend Jenn over at The Crafty Mommy. She has a great blog going, and I think many of the Eats For All Ages readers will find something they’ll like over there. So, take a look at what she’s got going on. I’m serious…click, read and enjoy. We’ll be here when you get back. 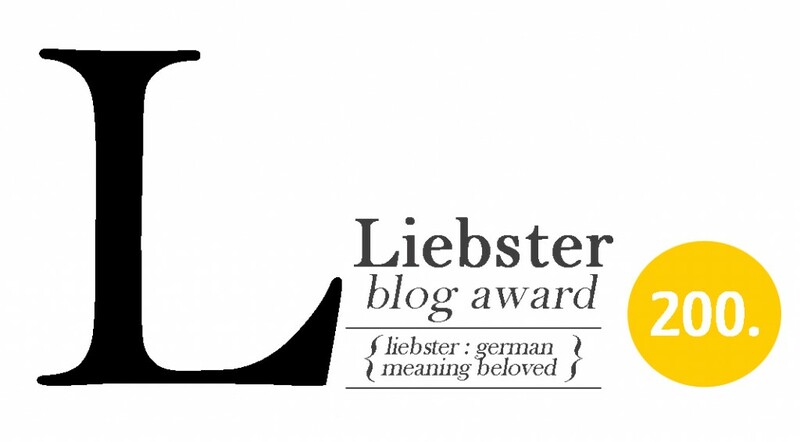 For those who don’t know about this award (I didn’t), the Liebster Award is an award given by small bloggers to small bloggers. It is designed to help increase readership for smaller blogs and build the blogging community. It’s very similar to a chain letter, actually, in that once you receive it, you’re supposed to nominate others and continue to spread the award. Unlike a chain letter, there are no threats of gory deaths or lost crushes if break the chain. I like the idea of the blogging community helping to build up new blogs and increase readers from one blog to another. Hmm…that’s a little (lot) more manageable. So, I will graciously accept my award from The Crafty Mommy and will continue the award with some (more than) slightly amended rules. 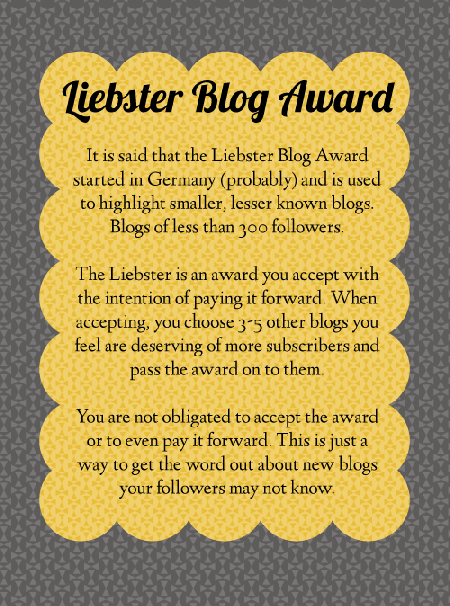 I like the general spirit of the award being related to promoting other blogs, so I think I will follow the idea of the rules above and put the focus back on the nominated blogs rather than on myself. I have already linked The Crafty Mommy, and I hope you check her out. I also hope you check out the following blogs that I am nominating for the award. 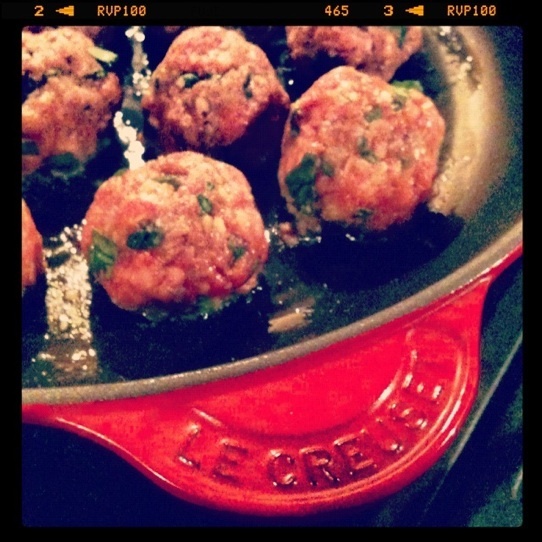 Kyle Likes To Cook: This is the blog that inspired me to start my blog. His food is amazing and his photography makes me hungry every time I check out his blog. Definitely worth at least a look, and I highly recommend following this drool-inducing blog! Acorn Portraits: Probably the best photographer I’ve ever had the pleasure to meet. She has done a few sittings of the little guy at Eats For All Ages (not any of the horrible photos on my blog, which I have all shot myself…) Check out some of her amazing work on her blog. Homemade-Handmade: A great blog that, which in their own words ” is about the joy that comes from creating with your own two hands. Whether it’s a batch of blueberry muffins, a custom-made necklace or a piece of furniture, there’s something special about the homemade—something that you just can’t get from the store-bought.” The scope is broad, and the projects are great. I really enjoy this blog, and I think you will, too! Rising Woman: I came across this blog when the author found my blog. She shares my passions for writing and coffee. Coming across this blog I think really fits with the spirit of this award since I would have never found her blog if I didn’t have one of my own. Aho’s Home Made Food: This is another great blog I came across after the author found one of my posts. There is a very unique mix of cuisines including Japanese, Korean and Polish. There are a lot of things on there that I would have never even thought to try, and I’m very happy to have found this blog. So, there you have it. Hopefully you enjoy some of these other blogs as much as I have. Since accepting my Liebster, I am honored to say that I have been nominated a second time. I don’t know what the rules are on accepting the award twice, but I was nominated by Feeding The Sonis, and I hope my readers take the time to check out that amazing blog as well! Thanks Jason! You put together some amazing recipes. I’m definitely more of a baker (I like all those rules) but someone has to get dinner on the table.